Q. Why should I recycle my electronics? A. Recycling protects the environment and preserves natural resources. In many states, such as Illinois, it is illegal to landfill electronic devices and fines are imposed for doing so. Electronics contain metals and plastics that can be recovered for manufacturing. Printed circuit boards found in all electronics, batteries, cathode ray tubes (CRTs) from video displays, and mercury lamps from video display devices contain hazardous substances such as lead, cadmium, lithium, mercury, chromium, etc. These substances can pollute our environment when disposed of into the waste stream instead of recycling. Q. What electronic devices do you accept? A. We accept a large variety of electronics. Please take a moment to review a list of our Accepted Electronic Devices. Q. What happens to my electronics? Received – Electronics are received and checked in. De-Manufacturing – Material is processed. Sort & Package – Parts and components are sorted into various categories for recovery. Data Destruction – All data is destroyed. Ship – Material is shipped to approved domestic vendors for recovery..
Q. Why should I choose A-Team to recycle my electronics? A. Our team has 10+ years experience providing world class service in electronics recycling. We pride ourselves on providing fully customizable recycling solutions to meet our client’s needs. Our service options and versatility make us one of the most cost effective and convenient recycling companies in the Midwest. Our friendly and knowledgeable staff can quickly assist you with any questions you may have. Contact us today! Q. What happens to the data on my devices? We also offer mobile hard drive destruction. 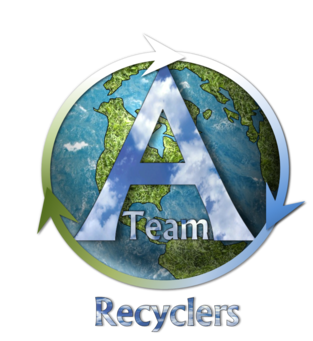 A-Team Recyclers will shred your data containing devices at your facility.